 Mouse anti duck IgA1 heavy chain antibody, clone DuIgA1 recognises duck IgA1 (Immunoglobulin A1) heavy chain. Mouse anti duck IgA1 heavy chain antibody, clone DuIgA1 has been demonstrated to recognise IgA1 in a range of duck species and strains including Mallard ducks, Pekin ducks (Anas platyrhynchos) and Muscovy duck (Cairina moschata). The antibody will also recognise goose IgA1 (Anser sp.). Ferreira HL et al. (2010) Development of specific enzyme-linked immunosorbent assays to evaluate the duck immune response after experimental infection with H5N1 and H7N1 low pathogenic avian influenza viruses. Avian Dis. 54 (1 Suppl): 660-7. Magor, K.E. (2011) Immunoglobulin genetics and antibody responses to influenza in ducks. Dev Comp Immunol. 35 (9): 1008-16. Mao, S. et al. (2016) Development and evaluation of indirect ELISAs for the detection of IgG, IgM and IgA1 against duck hepatitis A virus 1.